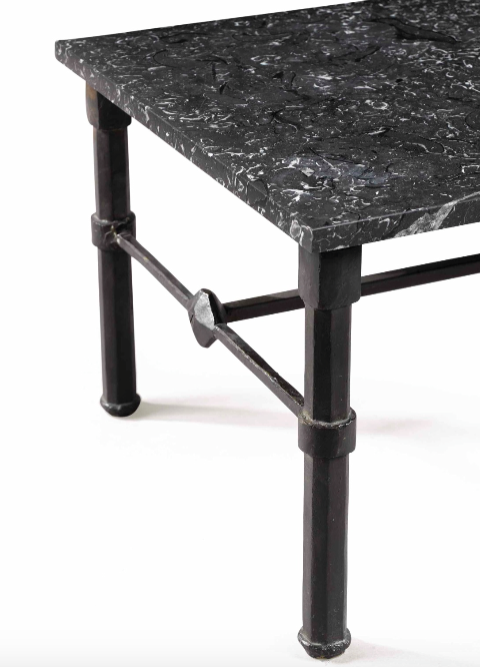 The Design Sales at Christie’s (25 May) and Sotheby’s (24 May) went on view yesterday. 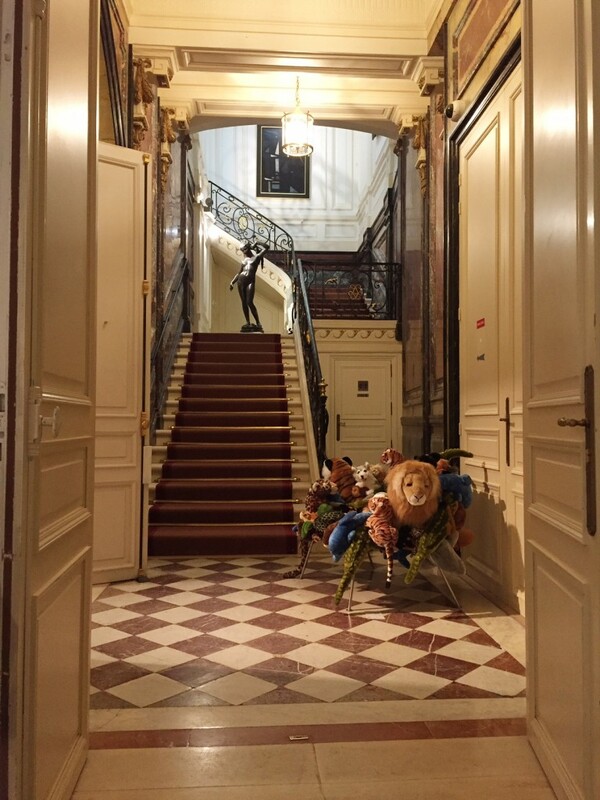 The sales are similar in many ways reflecting the strongest trends of buyers these days. The houses took opposite approaches in their catalogues and views. 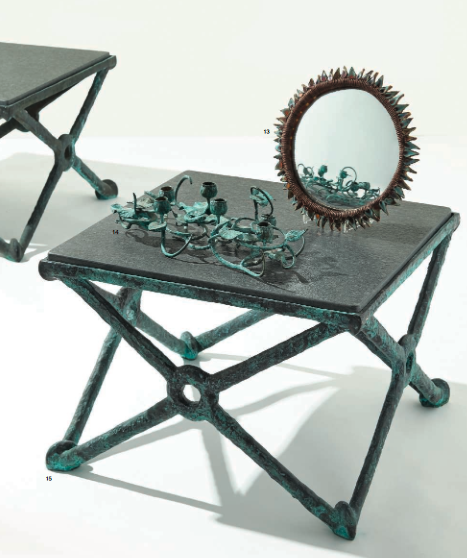 The Sotheby’s catalogue shows each item individually while in the showroom they are presented in inspiring vignettes and Christie’s does almost the opposite by presenting lovely vignettes in the catalogue and a sparser-feeling exhibition. 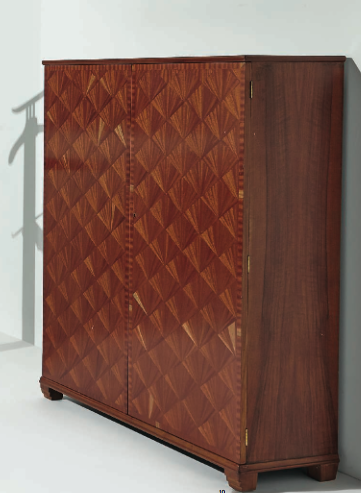 Christie’s auctioned this cabinet by Jean Michel Frank, ca. 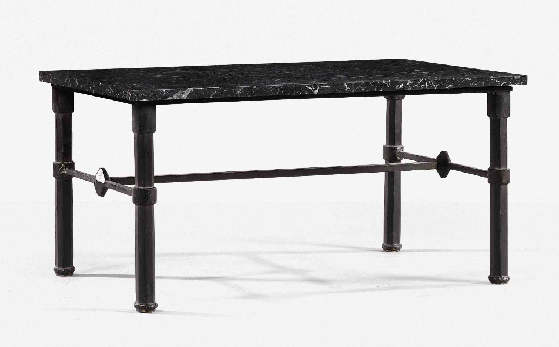 1925 that came from the collection of Yves St. Laurent and Pierre Bergé. 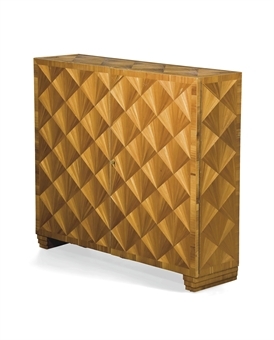 At Sotheby’s this striking mueble below, caught our eye and we thought of Fornasetti but it turns out to be by Osvaldo Borsani, another very important mid-20th century Italian designer. The four front panels are covered in fabric. The pulls are by Lucio Fontana. 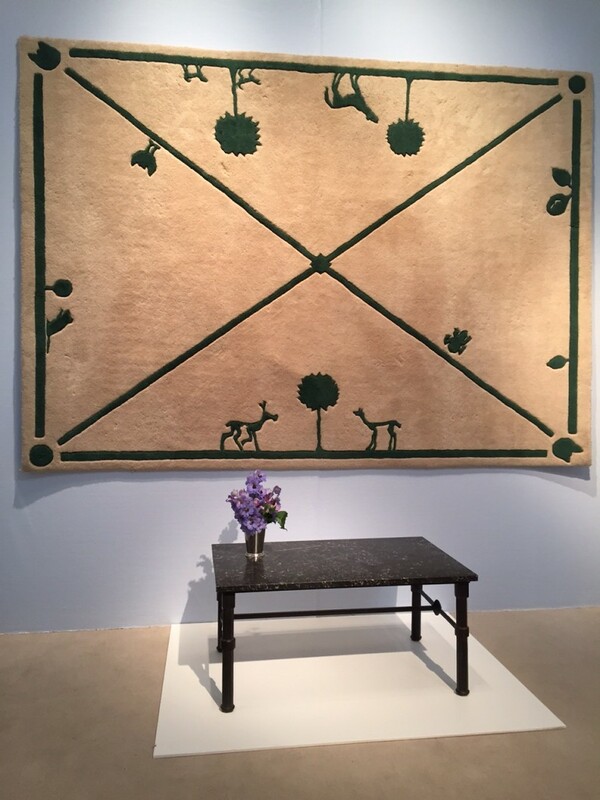 Each house is selling the same Diego Giacometti rug – with the same estimate of 10,000-15,000 euros. 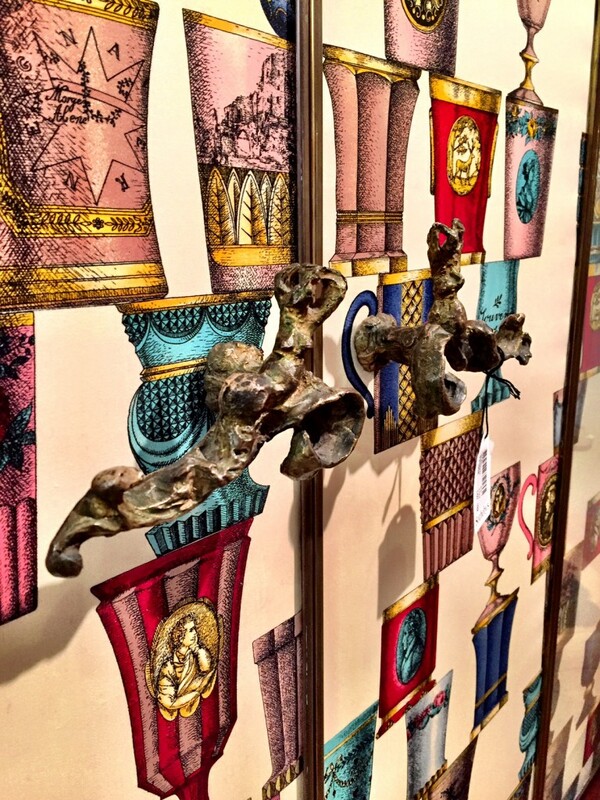 Here it is pictured at Sotheby’s. 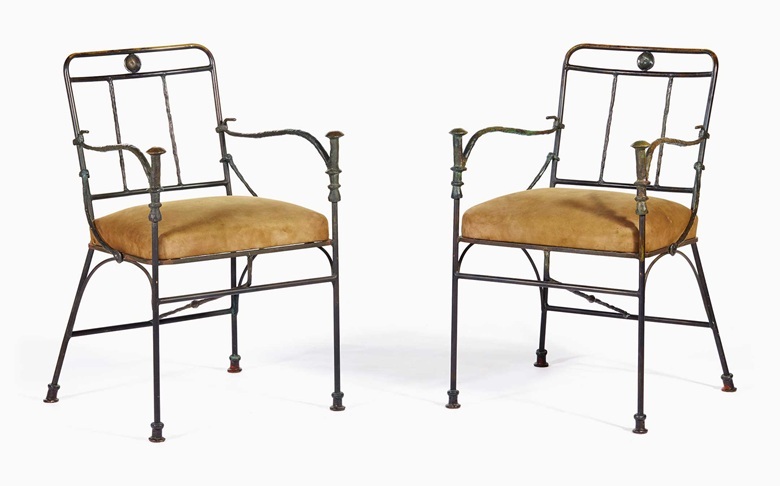 Christie’s is offering this pair of chairs by Diego Giacometti, from Coco Chanel’s residence in Lausanne Switzerland. 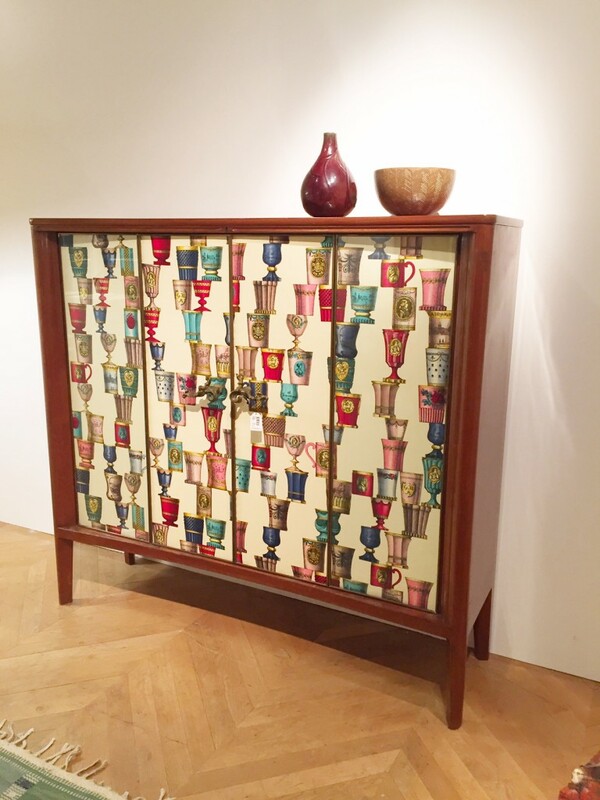 Both houses are presenting collection of ceramics by Georges Jouve. 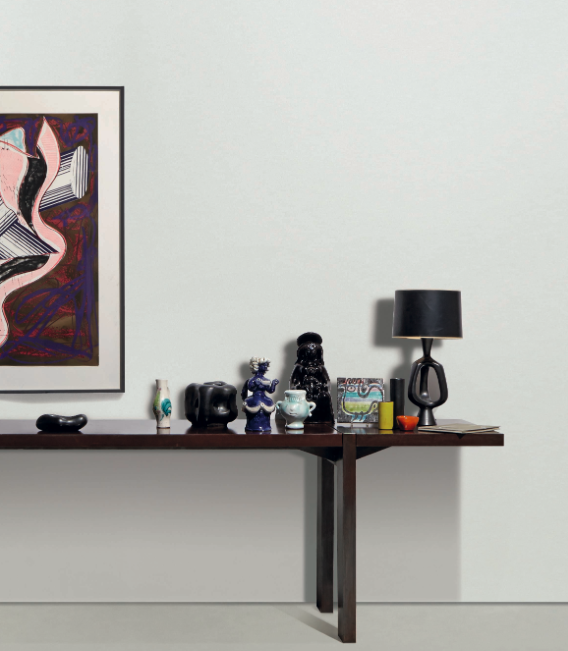 Below is a photo of some of the works offered by Christie’s.